Requires a Gorilla Wheel Lock Key (# 1921SD) for installation/removal. 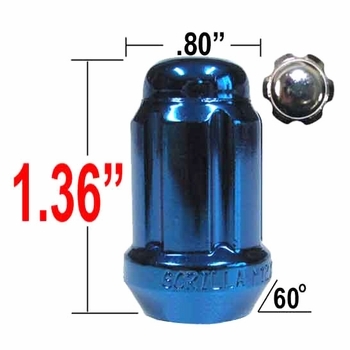 Blue Small Diameter Tuner lug nuts from Gorilla are the perfect replacement upgrade. 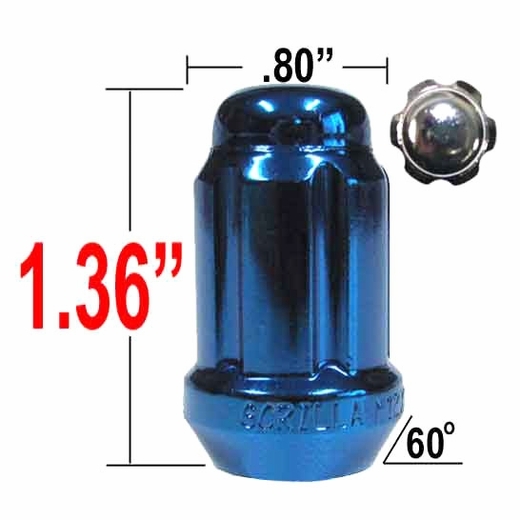 Durable quality are one of the many facets or Gorilla Blue Small Diameter Tuner lug nuts. Quick replacement is a plus with Gorilla Blue Small Diameter Tuner lug nuts. When replacing your wheels, don't forget to replace your lug nuts with Gorilla Blue Small Diameter Tuner lug nuts..